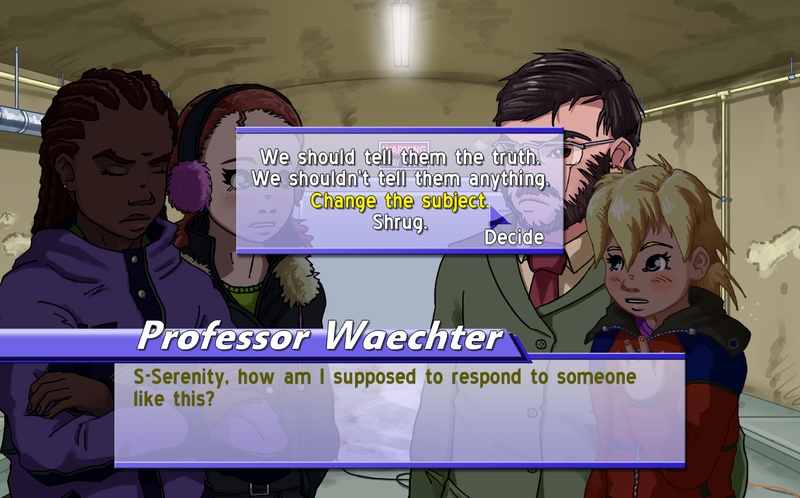 News, commentary, and previews for the adventure game Junction. The secret government organization that you work for is known simply as “Majestic 12”, or MJ-12 for short. Formed by executive order of Harry Truman it began as a simple committee of military leaders, scientists, and government officials to investigate the aftermath of a junction in Roswell, New Mexico. Today Majestic 12 is a powerful paramilitary organization, and the United States’s primary anti-slider task force. Although they report yearly to the president and a small number of select congresspeople, they are granted the privilege to withhold information at their discretion for the purposes of plausible deniability, a privilege they routinely abuse. In order to maintain their cover many agents of the organization work under dummy corporations (such as Majority 12, Inc.) or using the names of other federal government departments (the Department of Homeland Security is a current favorite). For larger version, click here. In Junction, you are Serenity Bell. Or perhaps it is more accurate to say that Serenity Bell is you? Either way, you are a photographer in the secretive government bureau, Majestic-12, and your daily job is to document the classified phenomenons known simply as “junctions”. Your son Travis has the ability to influence these reality-warping events, and there are others in Majestic-12 and beyond that will stop at nothing to wield him as nothing more than a tool, as they once did his father. I’ve put a lot of work into this character, despite the fact the game is played from a first-person perspective and you rarely ever see her on screen. I’m still not 100% happy with the way she looks, but that’s what happens when you’re a perfectionist who can never be pleased. Her color scheme is likely to change in the near future. Done completely in Photoshop. Time taken: ~5-8 hours. In Junction, you don’t actually see Serenity very much. The game takes place largely from a first-person perspective even though it’s a 2d game. Every now and then you might catch a glimpse of her reflection in the mirror, but most of the time you’re focusing on the other characters and the world in front of you, as if through Serenity’s own eyes. Despite this, Serenity is going to be very much front-and-center when it comes to the promotional art. For this reason (and my own innate perfectionism) I’ve put a lot of work over the past three years into getting her to look just right. Of all the characters, Serenity Bell—the one you see the least—is the one that’s been the hardest to pin down. As I’m finalizing everyone’s looks in their new style sheets, Serenity is finally coming very close to completion. The only major hurdle I’ve left to clear, it seems, is her hair. For most of the characters I already had a clear idea of what I wanted their hair to be like before I even set a pencil to paper. Serenity on the other hand, I’ve been more fidgety about. What you see above is a collection of different hairstyles I’m considering for her. Look “A” is the one I’ve usually given to her in sketches, but she may end up with one of the others—or maybe something else entirely. What would pick? Which ones are your favorite? Which are your least favorite? While you have few allies in your daily struggle to protect your son and avoid becoming a sacrificial pawn in the government’s secret bureaucracies, Professor Jacob Waechter is one of them. The chair of the physics department at Westgrove, a small college in rural Virginia that just barely manages to stay afloat, he is an expert in everything related to the phenomenons known as “junctions”. Unfortunately that doesn’t bring much prestige thanks to the government keeping all his most valuable work under wraps. Travis is Adrian’s and your son. He has somewhat unique abilities related to the phenomenons known as “junctions” and their impending arrival causes electronics and other mechanical and electronic devices to often fail in his presence, a condition commonly misunderstood and labeled as “street light interference”, or SLI. There are those who want to take him away from you to use his abilities for their own purposes, so be sure to protect him no matter what. These take a long time to make. I like to do research to make sure the character’s outfits and proportions are at least believable, and I also spend a lot of time tweaking everything to make sure it matches and looks right to me. Done completely in Photoshop. Time taken: ~6-9 hours. Adrian is one of the main characters in Junction. As a covert agent popularly known as a “man-in-black” his job is to investigate the phenomenons known as “junctions” and keep them in check, not to mention stifle any knowledge of their existence from coming to public light. This is not a job that he chose for himself, but one he continues to perform in the hopes that his son Travis will continue to have a better life than he did. I put a lot more work into this than initially planned. In-game the character is usually off screen. Done completely in Adobe Photoshop. Time taken: ~5-7 hours. David is one of the NPCs you interact with in Junction . He’s all-around obsessed with aliens—not that he’d willingly admit that. The color of his outfit may or may not change in the future. Really been wanting to update all the in-game character art, so I’ll probably do a style sheet for everyone. Maybe. Or I might just stick with what I’ve got and save time. But I really would rather everything look its best. Even though I’m not working with any other artists, I’m really bad about keeping characters on-model, so I thought this would be a good exercise. Should prove helpful when I start work on the promotional art down the road. Done completely in Photoshop. Time taken: ~4-6 hours. More footage from Junction. Here I talk a little bit more about character interaction and dialog choices, and show off some new areas and music from the game. If you’d like to know more about how in-game dialog choices affect the story, you can read this previous article on the Vision Riders blog where I talk about it in more detail. For more information about the game in general you can check out the game’s web site at www.junctionthegame.com. Click on the screenshot for a larger version. Just realized that I never posted this here. Sorry for that! Here’ a quick look at my upcoming game Junction.